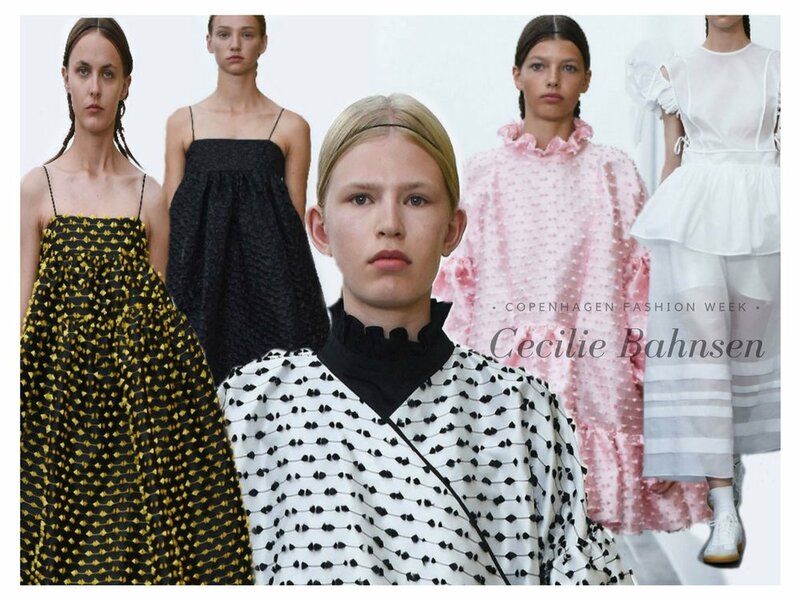 Hey guys I'm ending SS18 Copenhagen Fashion Week recaps with a big bang. This collection was very amusing. Lots of playful layering, fun styling and bright colors. Despite all of the fun on the metallic runway, there was a flair of sophistication. Clean lines, ribbed jumpers, and tailored suits were mixed with denim, t-shirts and athletic gear. A beautiful checkered trench coat with matching shoulder bag made an appearance, and I will dream about it until I find the perfect dupe. I managed to gather a bunch of style inspiration from this show. The brand introduced ways to add trendy accessories (brightly colored socks) with a nice dress and heels to create a more interesting look. All in all I saw a lot of pieces that can help anyone develop their personal style. This collection will definitely be one that I bookmark for future reference. This collection nailed spring/summer in every sense of the word simply by including whimsical fabrics, baby doll style silhouettes and loads of pastels. It was love at first sight for me after seeing pictures of this collection. I am a huge fan a drop waisted dress, but when you add a petticoat underneath to create the most adorable baby doll shape I literally see hearts. Models came down the runway like figurines. I will say this collection was very cohesive with a solid theme - girlie. In mostly black and white, there were splashes of light pink and gold to grace the runway. However, I don't expect much color from the scandi parts of the world. Models wore minimal makeup, hair pulled back in center part with plaited pigtails, and very thin, simple black headbands.